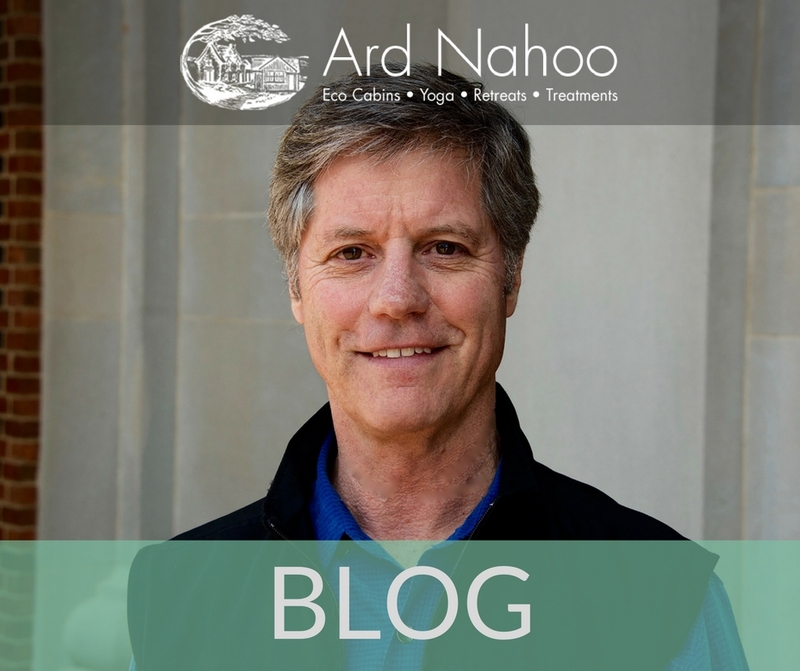 Check out our interview-style Guest Blog with Professor Bill Mahony below, for more info on this humble professor, practitioner & scholar and his upcoming workshop/retreat, “Heart Centred Soul & Body Immersion”, at Ard Nahoo. This March Ard Nahoo is welcoming Bill Mahony – known in the international yoga community for his deeply informed, refined knowledge and also for his gentle, warm teaching style that is accessible to students at all levels. Q. You approach yoga as both a long-term practitioner and as a professional scholar drawn to its philosophy. What are the advantages to being a professor who is also a practitioner of yoga? Are there any drawbacks you’ve experienced? For me personally, the purpose and benefits of contemplative study are completely aligned with and supportive of the discovery, growth and refinement I associate with the yogic life. Both are oriented toward what I feel is a continuing exploration and expression of the meaning, value and possibilities of life itself, in all of its complexities. And I would want your readers to know that they don’t need to be professional scholars to integrate these two disciplines — study and practice — in their lives. Anyone with a yearning for a deeper understanding of yoga can pursue the study of yoga philosophy. And I feel it is especially important and helpful to yoga teachers to be familiar with the philosophy that supports the practices. Contemplative study and thoughtful conversation with others helps illumine the meaning and importance of practice; and practice embodies the values, perspectives and insights such study uncovers. Study adds depth and an appreciation of nuance to our understanding of yoga; practice brings life to that understanding. Study helps us understand why we practice; practice gives form to that understanding. The combination can very helpful to yoga teachers. In nearly five decades of contemplative study and practice, I have found the combination of the two to be inspiring, invigorating and illuminating. The combination both elevates and grounds the spirit at the same time. Q. Is there something that Western practitioners and teachers of yoga who hesitate to think of themselves as philosophers often misunderstand about yogic study? I might mention two general misunderstandings. One is that students may feel that the philosophy that guides and supports yoga will be too hard to understand and may not be relevant to their practice. Yes, traditional yoga philosophy drawn from a long and respected history of inquiry and commentary by sages in the tradition itself may seem rather abstract or subtle. But I also feel that people sometimes don’t give themselves enough credit for their ability to understand subtle yet important and influential philosophical perspectives. And those perspectives can be so illuminating and inspiring. The other misunderstanding I might mention is sort of the opposite. Some people may feel that they already know all that is important to know about yoga, so they hesitate to give more time to study yoga philosophy. To me, this is unfortunate. The contemplative study of yoga philosophy is like the experience of beauty. Contemplation and reflection adds texture and a sense of wondrous complexity, spaciousness and subtlety to the yogic life, and there is always more to relish. Q. How will participants in this week’s immersion at Ard Nahoo integrate yogic practice and contemplative study? One of the beautiful affirmations within the many schools of yoga philosophy is that there is a deep, inherent value to each human being, and that that the true nature of the deepest self is one of inherent joy. Most schools of yoga philosophy also say that this inner light can be and is often trapped, ensnared and even smothered by an inner darkness that is thickened and encumbered by the weight of people’s disrespect for that light itself. In our immersion, we will contemplate this perspective by means of a traditional method of yogic study. Together, we will (i) hear and read short passages from important yoga texts that speak of this joy, (ii) contemplate those teachings through sustained and focused discussion, (iv) assimilate those teachings through asana, pranayama and other physical practices led by Noeleen and (iii) meditate as a group and on our own in a way that is informed by our study, contemplation and practice. Q. Tell us a bit about how you got involved in yoga, both academically as well as personally. Which one came first and how did your involvement in one lead to the other? Looking back at my life, I see that I have been drawn to spiritual philosophies since an early age. Like many others, I had a sense of a transcendent Mystery that stands within or behind all of existence. I have long wanted to immerse into and explore that Mystery. I began a regular, formal meditation practice at age eighteen, although I would say I cultivated a contemplative perspective well before that time. I see now that, even as a child, I was inwardly moved by what I now would call the mystical dimension the spiritual life. Also, when I was eighteen, I first read sacred texts from India, in translation, with a sustained concentration. I was drawn first to the Upanishads, the teachings of which resonated very deeply within me. Then, I first read the Bhagavad Gita as well as a number of early Buddhist texts. When I was twenty-one, I went to India for six months. I travelled through India extensively, mostly by myself, and spent extended time in meditation centers, visiting temples and so on. Returning from India I realized that I wanted to know more about religion in general and the mystical forms of it in particular. Graduating from Williams College, I went to graduate school at Yale University and the University of Chicago to study comparative religion with an emphasis on Hindu and Buddhist thought and practice. I wanted to be able to read texts from these traditions in their original form, so I studied Sanskrit for many years. I began doing hatha yoga in an intentional, sustained manner when I was about twenty-four. All the while, I continued my meditation practice. I received my PhD and began life as a professor of religion in 1982. I continued in my yoga practices and continued to do research and publish books on religion in India. Throughout the years, my life as a scholar and practitioner has continued to be grounded in and expressive of my deep appreciation for the spiritual life. Continuing to be a full time teaching professor and professional scholar, I now also travel internationally to lead workshop seminars and retreats in yoga philosophy, such as this one at Ard Nahoo. To me, study, teaching and practice are all threads in a single, wonderful cloth. I love doing what I do and am grateful that I am able to do so! I am so looking forward to being with Noeleen and the participants in what will be a wonderful week of yogic study, contemplation and practice in Ard Nahoo’s beautiful and joyful setting.